Encourage kids to jump their way to fitness with Galt Folding Trampoline. 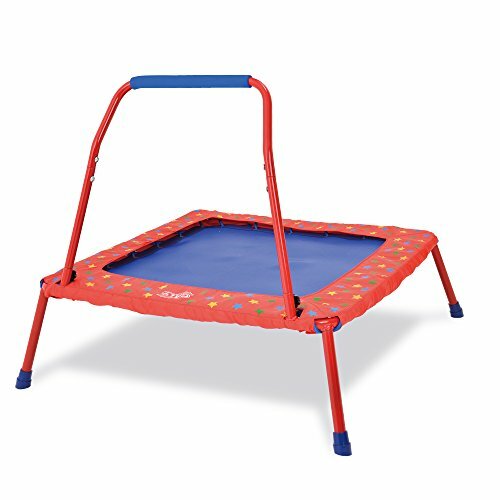 Designed specifically for children, this trampoline is convenient and can be used both indoors and outdoors. Kids will delight in the feeling of weightlessness as they propel towards the sky and back again. Why You'll Love It: The trampoline consists of a tough weatherproof mat enclosed by a tubular steel frame. If you have any questions about this product by Galt Toys, Inc., contact us by completing and submitting the form below. If you are looking for a specif part number, please include it with your message.